If you can no longer pay your credit card debts due to financial difficulties, ask your creditors to forgive your debts. You and your family come first. There will be unexpected twists and turns in your life and you must be prepared to make the necessary adjustments to survive in this jungle of life. This book IS about negotiating forgiveness for your credit card debt by writing your creditor one simple negotiation letter and what to do if the creditor refuses to negotiate. 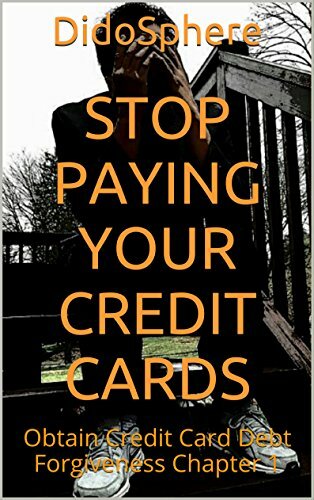 If you owe money on your credit cards and cannot make payments anymore because of financial difficulty, this book is for you. Ready to find out more? Click here. We learned in Chapter 1 that you can obtain credit card debt forgiveness if you write your creditors a simple, properly worded negotiation letter. This book, Chapter 2 in this series is about various measures you can take if your creditors refuse to cooperate and forgive your debt and decide to sue instead. The methods and strategies in this book may be put to use in dealing with credit card debt as well as other unsecured consumer debt such as payday loans, doctors' and hospital bills, department store debt, furniture and home improvement loans. It contains sample forms such as, Validation of Debt Letter, Cease and Desist, Answer and Affirmative Defenses to Complaint, Request for Production of Documents, Refusal of Arbitration, Opposition to Plaintiff’s Motion for Summary Judgment, sample letter to IRS disputing creditor’s 1099-C (CODI-Cancellation of Debt Income).